UCR School of Medicine inaugural graduating class. Photo by Carrie Rosema. Trina Mansour first knew she wanted to be a doctor in the sixth grade. But it wasn’t until she grew older and heard stories from her mother, who is originally from Afghanistan, about the difficulties pregnant women face during childbirth, that she was inspired to work in maternal health. 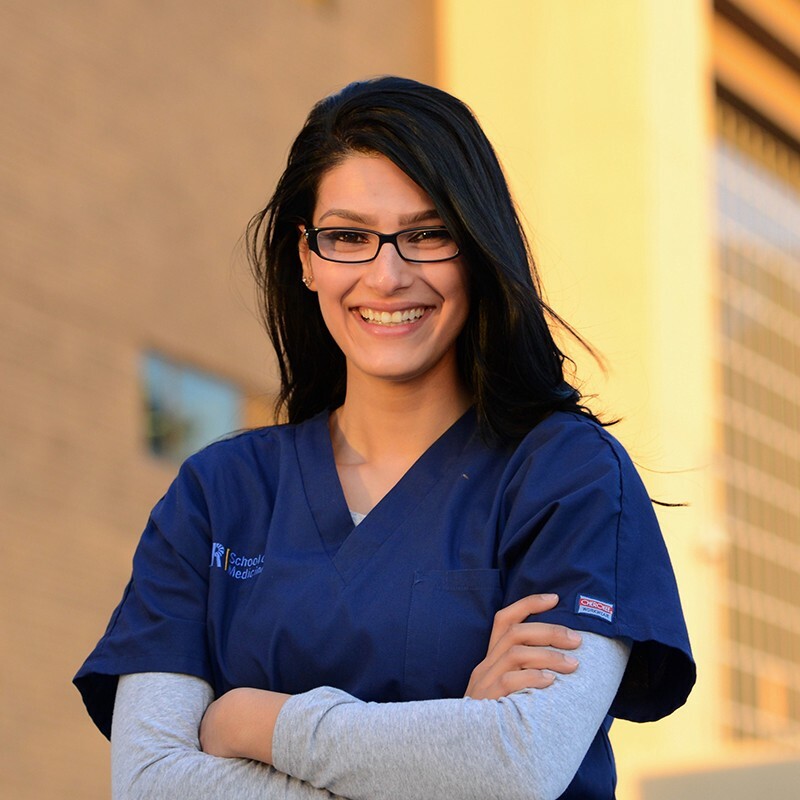 As a medical student at UC Riverside, Mansour’s organizational skills and attention to detail helped her establish OB-GYN information sessions and an interest group devoted to women’s health. A first-generation student, she feels fortunate to have worked with the local community early in her education. And she’s planning to stick around for a while. 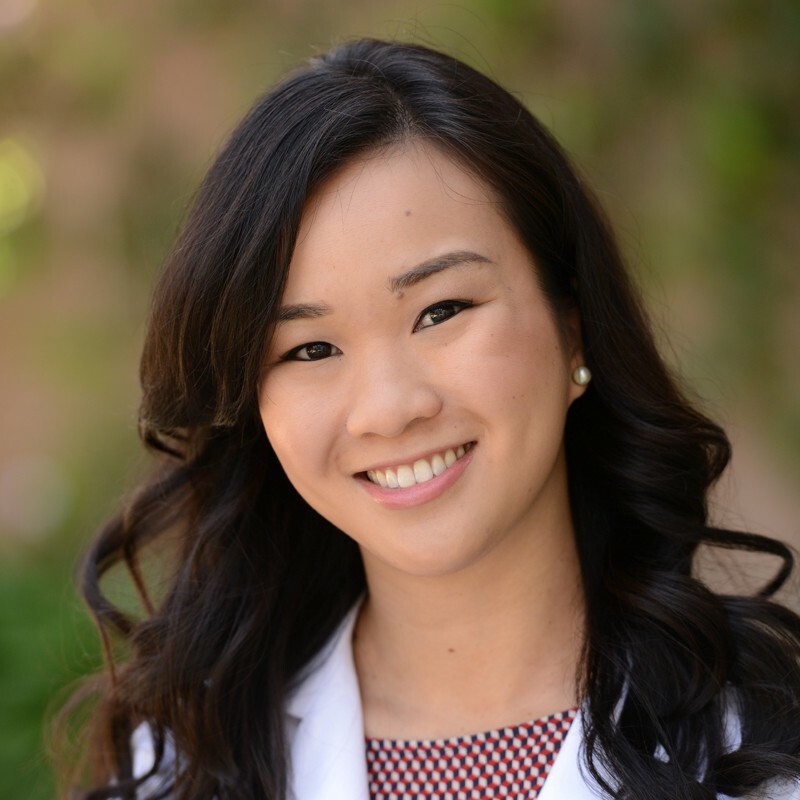 Her classmate Diana Tran, 29, also a first-generation student, is now a resident in internal medicine at Kaiser Permanente in Los Angeles. The daughter of immigrants from Vietnam, she is grateful for the training she received at UCR and honored to be in the school’s inaugural graduating class. Prior to enrolling, Tran managed a wireless phone retail franchise, a job that left her uninspired. Now she plans to specialize in either geriatrics or palliative medicine. Trina Mansour, M.D., photo by Carrie Rosema. Mansour and Tran are two of the 40 students who graduated from the School of Medicine this year. The school opened in 2013 and is the first public medical school created in California in more than 40 years. 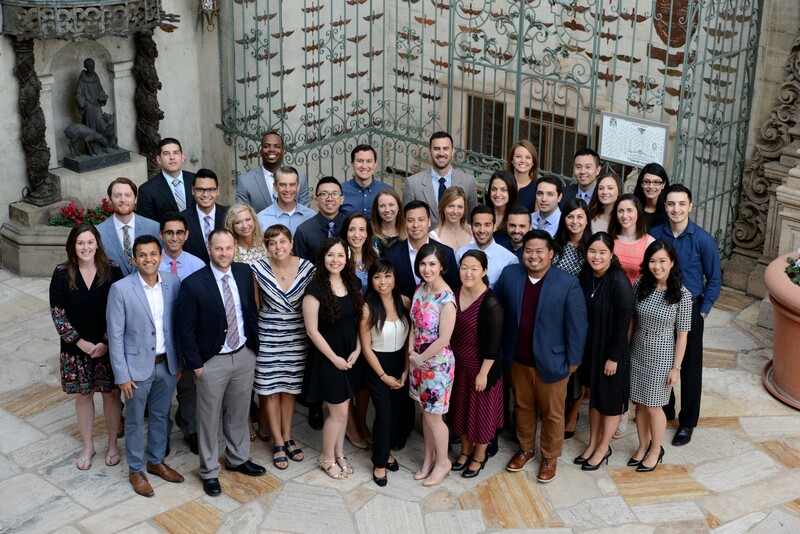 All 40 students are now training in a residency program at a hospital or health care provider, with 33 graduates staying in the state and 10 in the Inland Southern California region. Seventy-seven percent of the students matched into one of their top three choices — an incredible feat for a new medical school and further proof that the institution is already making a mark. The members of the class of 2017 took the Hippocratic Oath and received their medical degrees and doctoral hoods on June 9, a day after the school was granted full accreditation for five years by the Liaison Committee on Medical Education, the accrediting body for U.S. and Canadian educational programs leading to the M.D. degree. The School of Medicine operates residency training programs in family medicine, internal medicine, obstetrics and gynecology, and psychiatry; as well as fellowship programs in cardiology, and child and adolescent psychiatry. The School of Medicine emerged from the UCR/UCLA Thomas Haider Program in Biomedical Sciences that was established in 1974. The program sought to recruit outstanding students to UC Riverside and increase the number of medical students entering clinical training at UCLA. Students in the program completed their undergraduate work and the first two years of their medical education at UC Riverside before transferring to UCLA for their third and fourth years and earning their M.D. degrees from the David Geffen School of Medicine. “The original UCR/UCLA Program in Biomedical Sciences was an accelerated seven-year program,” said Neal Schiller, senior associate dean for student affairs at the medical school and Salma Haider Endowed Chair in Biomedical Sciences. Students entered UCR as biomedical sciences majors and only 24 of roughly 250 participants were selected for the medical phase of the program, according to Schiller. But, there was room for improvement. UCR faced several financial challenges on its decade-long path to turning the program into a medical school, including the loss of $10 million in annual support from the state in 2011 due to the recession. Dr. G. Richard Olds, who served as founding dean and vice chancellor of health affairs, took responsibility to find alternative funding and succeeded in garnering massive community and government support for the medical school. The Liaison Committee on Medical Education granted the School of Medicine preliminary accreditation in 2012, making it the sixth medical school in the UC system. Conducting research that impacts the community is another vital component of the school’s mission, and it has created the Center for Healthy Communities to serve that purpose. Additionally, the Division of Biomedical Sciences is living up to that promise by focusing research on conditions such as inflammatory bowel disease, Crohn’s disease, and asthma, which have relevance to Inland Southern California. The division also collaborates closely with all colleges and schools on campus through its Ph.D. program in biomedical sciences, Center for Glial-Neuronal Interactions (CGNI), Center for Molecular and Translational Medicine (MOLMED), and Bridging Regional Ecology and Aerosolized Toxins to understand Health Effects (BREATHE) center. Dr. David Lo, senior associate dean of research and the liaison for UCR colleges and outside institutions interested in collaboration, said the School of Medicine also considers projects related to health disparities in neurodegenerative diseases, stroke, traumatic brain injury, and metabolic diseases. 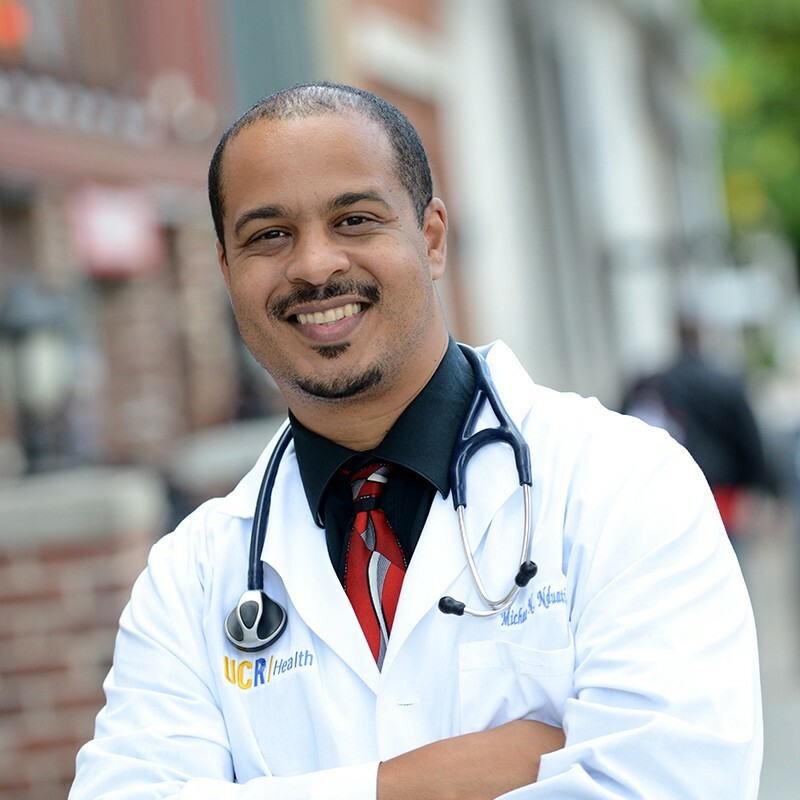 “Many of these diseases have a disproportionate impact on underserved populations,” Lo said. Dr. Deborah Deas, photo by Carrie Rosema. The school’s research enterprise will increasingly integrate with UCR Health, the clinical arm of the medical school. “Having built a clinical enterprise, having attracted a large group of clinical educators, we are now looking to build a cohort of clinical researchers,” Lo said. Dr. Michael Nduati ’01, senior associate dean for clinical affairs and chief executive officer of UCR Health, said the School of Medicine’s most important contribution has been drawing education into the limelight for Inland Southern California, as UCR’s medical students are trained at various hospitals in Riverside and San Bernardino counties. Nduati is building a focus on primary care to address the shortage of primary care physicians in Inland Southern California. The clinical enterprise has approximately 80 physicians providing primary and specialty patient care, impacting nearly 36,000 lives. He plans to keep growing its footprint. Mansour, the OB-GYN resident at Riverside Community Hospital, said she embraces this message. Dr. Michael Nduati, photo by Carrie Rosema. Students such as Mansour are what make the inaugural class stand out, according to the medical school’s leaders. Schiller agreed, adding that the class of 2017’s easy access to leadership helped them develop exceptionally good clinical and communication skills. Salma Haider and Dr. Thomas Haider, photo by Kurt Miller. 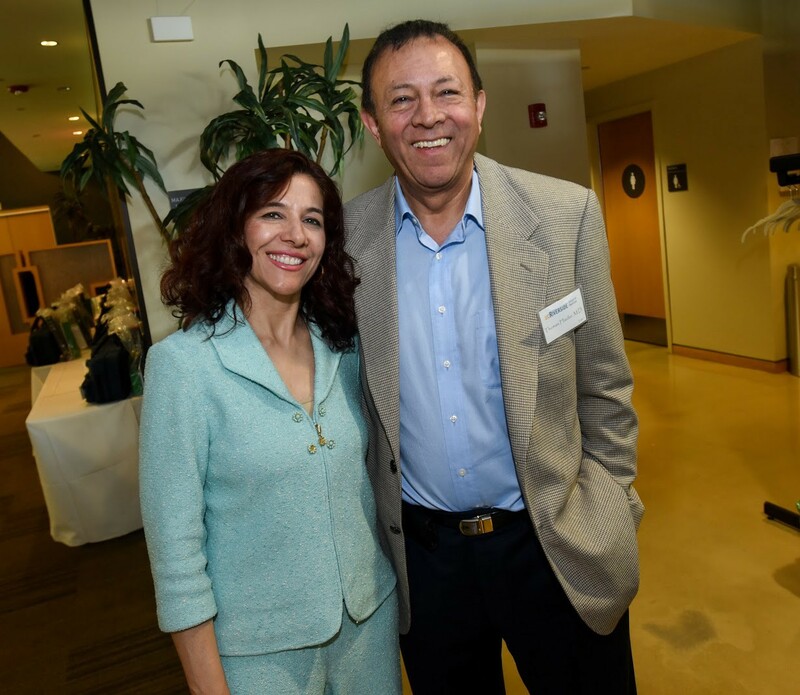 Every house needs a strong foundation, and the UCR School of Medicine has exactly that in Dr. Thomas Haider and his wife, Salma Haider. The visionary couple has been committed to physician training for two decades, beginning in 1997 when they provided sustaining support to what was then a medical education partnership with UCLA’s David Geffen School of Medicine. The UCR/ UCLA Thomas Haider Program in Biomedical Sciences enabled enrolled students to complete their first two years of medical school at UCR before transferring to UCLA to complete their M.D. degrees. Its success — with a mission to educate physicians for distinguished medical careers in service to underserved, inland, and rural populations — demonstrated UCR’s dedication and capacity to establish an independent, four-year medical school. The program, more importantly, opened opportunities for UCR undergraduate degree recipients to achieve their dreams of becoming physicians. Roughly 800 physicians earned their M.D. degrees through this partnership with UCLA beginning in the late 1970s. The UCR School of Medicine maintains the program’s original charter to recruit, admit, and support students from UCR who aspire to become physicians. Now known as the Thomas Haider Program at the UCR School of Medicine, each incoming medical school class enrolls 24 Haider Scholars. These are students who have completed their undergraduate degrees in any major at UCR and embody the mission of the UCR School of Medicine and the Haiders’ purposeful commitment to Inland Southern California. 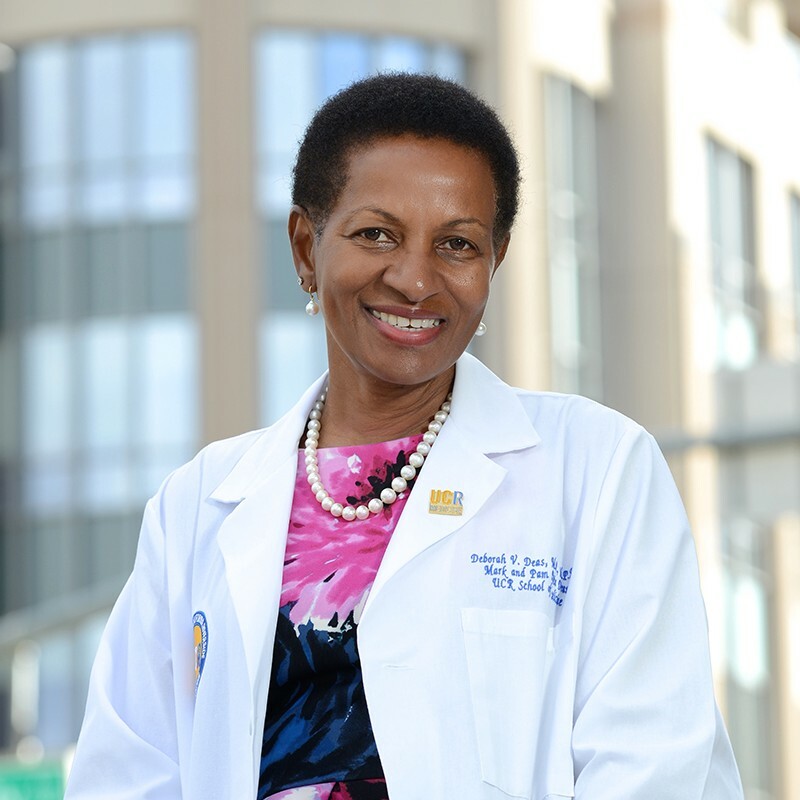 “The investment of Dr. and Mrs. Haider in our region will, for generations, continue to make a positive difference as we work together to expand access to medical care and improve the health of our communities,” said Dr. Deborah Deas, the Mark and Pam Rubin Dean of the School of Medicine.